One of my friends was working on a book called Drive It Like You Stole It. Sounds exciting — but another friend wrote a book that sold much better. It was called Drive It Forever. In today's "Great Recession," many people wish they could drive their car forever. New Yorker Irv Gordon is getting close. 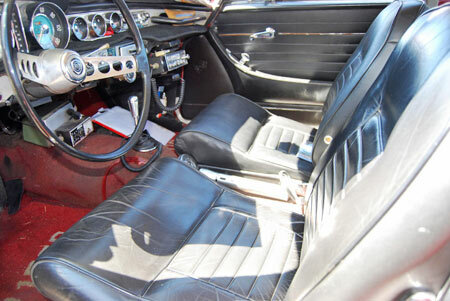 His 43-year-old Volvo sports car "turned" 2.7 million miles this past summer (2012). Not only that — his high-mileage magic is simple. He gives the car just basic "factory" care. Gordon has no special background when it comes to taking care of cars. He was a science teacher for 35 years and knows "just a little" about mechanics. He feels that cars are made to be used. He says they do best when they're being driven. That seems to be a key when all mechanical systems work well. 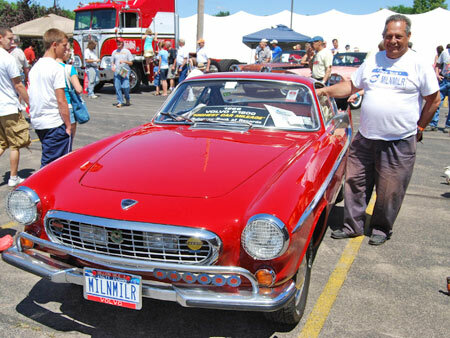 Gordon paid $4,150 when he bought his Volvo P1800 in Amityville, N.Y. The date was June 30,1966 and as it turned out, the red coupe was no "Amityville Horror." Gordon's formula for car care is simple. He never skips a 3,500-miles oil change. There are no grease fittings on his car. The wheel bearings are greased every 100,000 miles. He changes belts and hoses when they show deterioration. He gets new points and plugs every 20,000 miles. The engine was rebuilt by a Volvo dealer at 680,000 miles, but not because it broke. Irv simply never heard of an engine running that long. He recently had a second rebuild done — at 2,010,000 miles. Internal wear was absolutely minimal. One cam bearing was broken, but it didn't score anything up. Interior is not bad for almost 3 million miles worth of use. Irv drives carefully, but doesn't baby his car either. Obviously, he avoids trying to "keep up with the Joneses." His car is old fashioned. It still has a manual choke. He has to let the engine warm up or else it chugs down the road. "These cars need more understanding," he says. "People forget what older cars are like." In 1962, Irv drove 125 miles per day, every day, to his teaching job. He had a Chevy that developed serious engine problems. Chevrolet was never able to fix them. When the car was a year and a half old, he started getting stuck with it a lot. He bought another Chevrolet and it was worse than the first one. It broke down four blocks from the showroom the night he got it. GM said that he must have abused the car, which is ironic, since he's still driving what he bought next. Our guess is that it's just about as clean on the inside as it is on the outside! Irv finally borrowed some money from his dad, visited the Volvo dealer, traded in his Chevy and took possession of what may be his "forever car." He's still driving the same car that left the showroom that night. He changes some things, of course. Like tires. He's been running Bridgestones for over 30 years. He tried other brands, but feels Bridgestones last longest. The tires on the car now have about 30,000 miles of use on them, but he averages 100,000 miles out of a set of tires and does a complete brake job when he changes tires. So far, getting parts is no problem. He gets everything at the local Volvo dealer. A tractor-trailer once backed into the car. One school bus backed into it from in front and one school bus backed into it from the rear. An Oldsmobile ran into it, too. A woman who was trying to parallel park damaged the left rear quarter panel. The car was always parked when hit. Irv had local shops fix it. Amazingly, he does not have a garage for the car. It has sat outside for 43 years in New York, a half a block from the ocean. It is there 24 hours a day sometimes and he drives it winter and summer. The only time he doesn't drive the car — and he has a new Volvo — is when he's going where he has to park where he can't see it. "People are inconsiderate in the way they park," he warns.